Another rating of states has come out (“US teen births: Miss. has highest rate, NH lowest“). Texas finished toward the wrong end of the scale with rates of teen pregnancies is similar to much of the South. 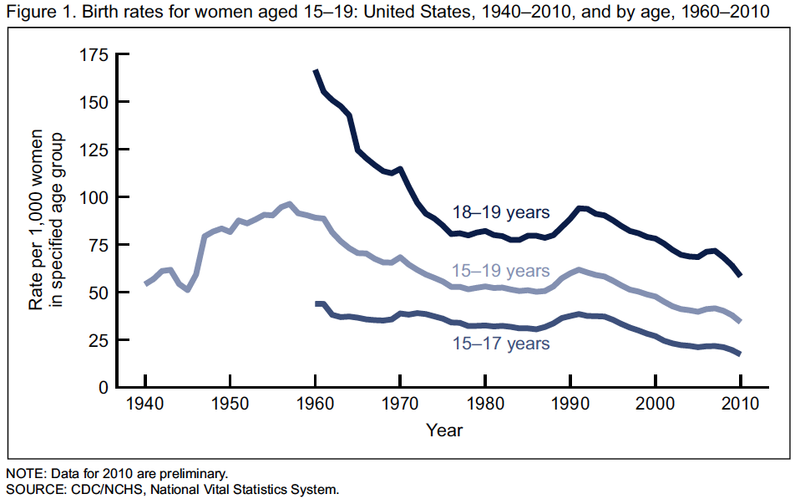 The good news is that nationally the rate of teen births is the lowest it has been since the government started keeping records in 1940. This is the kind of news that the drama queens that pass themselves off as media analysts tend to over look. If you listen to some people they would assure you that today’s teens are out of control and that teen births are an epidemic. No doubt, Texas and the rest of the nation can do better. However, we need to acknowledge when things are going in the right direction. You get read the full report from the CDC.